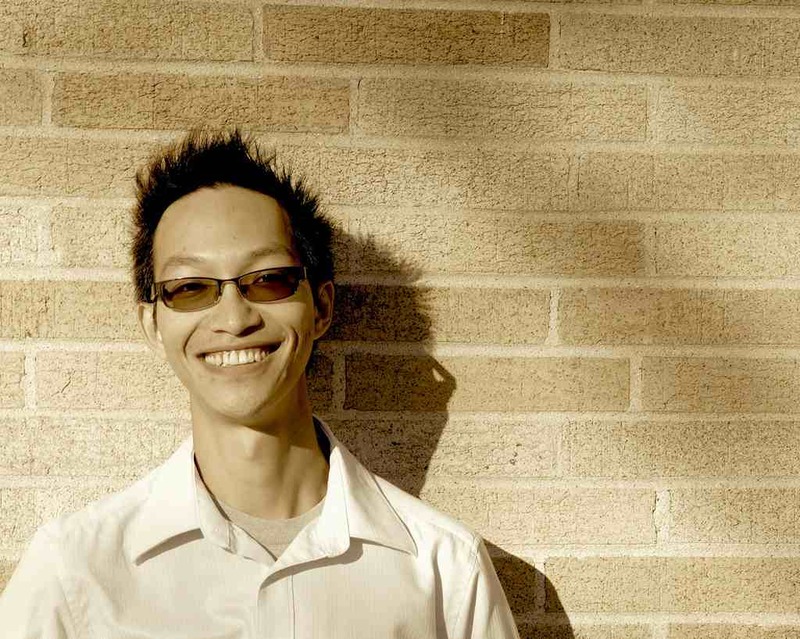 Classical Music: Isthmus Vocal Ensemble performs a world premiere by Madison composer Jerry Hui plus music by Mendelssohn, Brahms and other composers Friday night and Sunday afternoon. 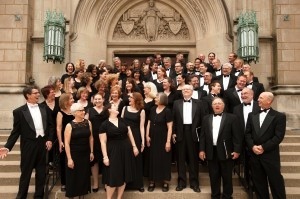 Over the past decade, the annual concert by the Isthmus Vocal Ensemble (below, in a photo by Jim Pippitt) has become a mid-summer landmark in Madison’s rich classical music scene. The group does amazing things, especially given that it pulls its annual summer program together in only about two weeks. Its conductor is University of Wisconsin School of Music alumnus Scott MacPherson (below), who flies into town and gets the group rehearsing difficult old and especially new music. In that short two weeks, the group prepares and presents an interesting and unusual program that typically combines well-known masterpieces with unknown or neglected works as well as world premieres. 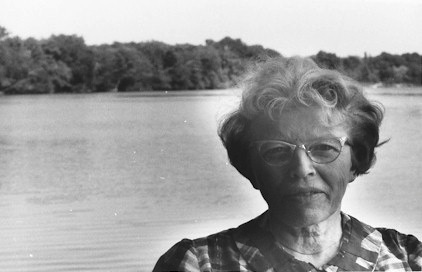 How the UW-Madison let a teacher and researcher of this caliber and prominence get away is beyond me, but there it is – a subject of regret and a topic for another time. A typical offering by the Isthmus Vocal Ensemble, this summer’s program spans five centuries of choral masterworks, and includes a world premiere by Madison local performer Jerry Hui), who is equally at home in early music (he founded and directs the ensemble Eliza’s Toyes) and contemporary music (he is a co-founder and co-director of NEW MUSE or New Music Everywhere). For this concert, Hui, who just received his doctoral degree at the UW School of Music and composed and staged an Internet opera “Wired for Love” as his thesis, has sets poems by Wisconsin poet Lorine Niedecker (below in a photo by Bonnie Roub), an “Objectivist” poet who graduated from Beloit College and lived and worked in Fort Atkinson, to music. 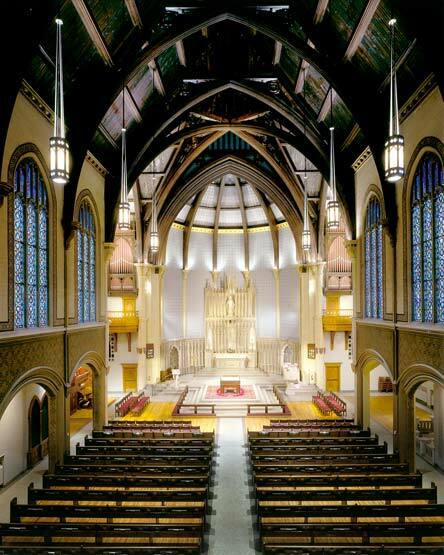 The first performance is this Friday, Aug. 3, at 7:30 p.m. in the resonant, cathedral-like acoustics of Luther Memorial Church (below), 1021 University Avenue in Madison, where the group promises the air conditioning will be working. 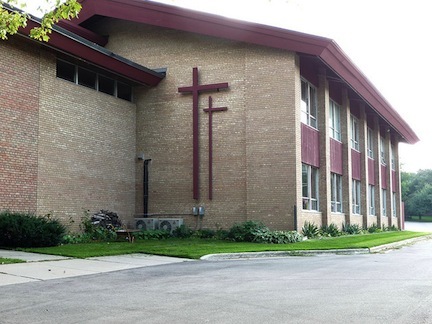 A repeat performance is on Sunday, Aug. 5, at 3 p.m. in the more intimate space of Covenant Presbyterian Church, 326 South Segoe Road, on Madison’s near west side. 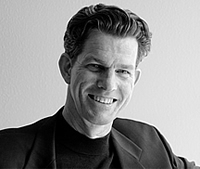 Classical music: Trevor Stephenson’s next “house concert” is this Saturday night and features America classics for voice and solo piano by Gottschalk, Foster, Ives and Joplin. 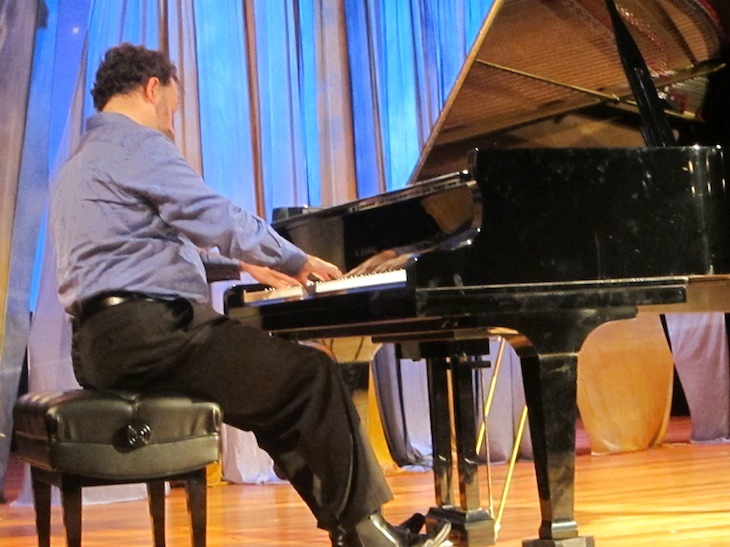 Classic American songs and solo piano pieces will be featured this coming Saturday at one of the appealing “house concerts” by keyboardist Trevor Stephenson (below), an early music expert who also founded and directs the Madison Bach Musicians, and tenor Peter Gruett. The concert is at 7 p.m. at Stephenson’s home at 5729 Forsythia Place, on Madison far west side. Admission is $35 per person. Refreshments will be served. Reservations are required: You can make them by sending an email to trevor@trevorstephenson.com or by calling (608) 238-6092. 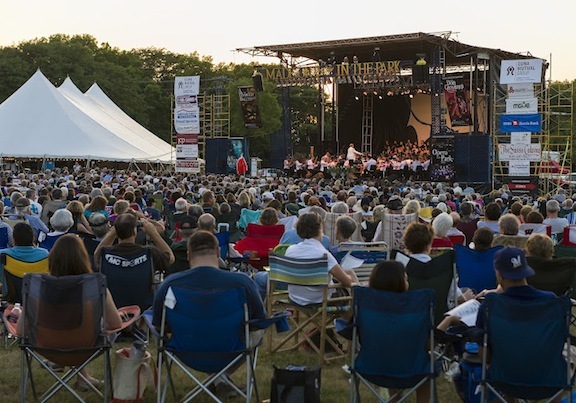 I have attended several of these concerts, and I can attest that they are both fun and informative as well as thoroughly enjoyable and congenial in a pleasant and comfortable, informal setting (below). 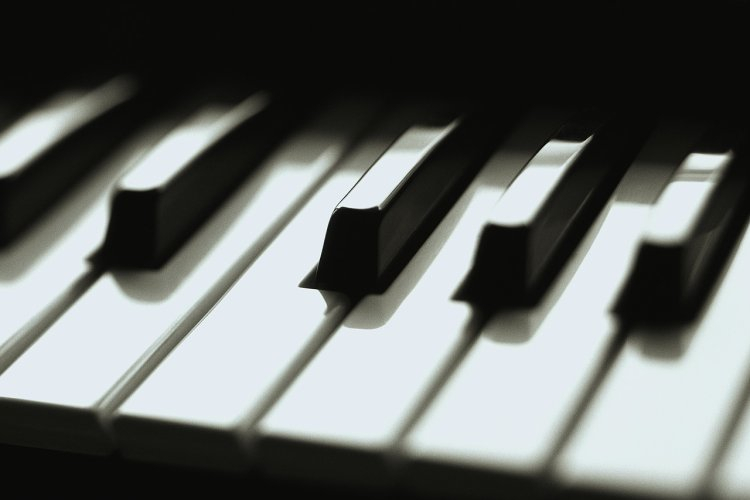 “Please join us on Saturday evening, August 4, for a program of American music featuring works for solo piano as well as songs for tenor and piano. “We’re delighted that outstanding tenor Peter Gruett (below) will join us — many of you have heard Peter frequently with the Madison Bach Musicians. 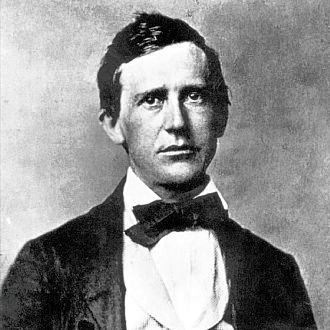 Peter will sing selections by Stephen Foster (below), as well as Ives, and other masters. 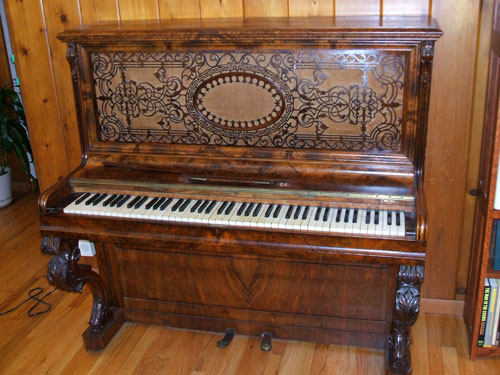 I will play on two of the historical pianos here at the house — the Victorian English Parlor Grand (c. 1850), below top; and the English Cottage Upright (c. 1840), below bottom. 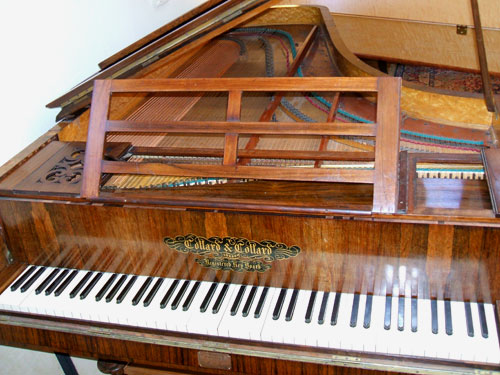 I’ll also talk about the spirit of the age in the late 19th century, the process of rebuilding these wonderful pianos, and the historical tunings (forms of Well Temperament) that we’ll use for the concert. Classical music: Young music composer and violinist survives the Aurora, Colorado shootings because she is lucky and has good health care – not because she has an abnormal brain. More and more news about the tragic cinema shootings in Aurora, Colorado, keep emerging. Now we understand that the accused killer, James Holmes, was under the treatment of a psychiatrist. And you can be sure there is much more to come. One of the underlying themes of this very sad incident is the role that luck plays in our lives. Go to the right movie or the right theater or the right showing time or the right seat, and you are safe. Go to the wrong one, and you are dead, if not severely wounded or permanently injured. Originally doctors operating on her thought that she had an abnormal brain structure that actually directed – or, more accurately, deflected — the bullet and so saved her life and brain function. In an update, it turns out that her owed more to luck than biology. There’s was nothing unusual about the structure of her cranium or brain, after all. 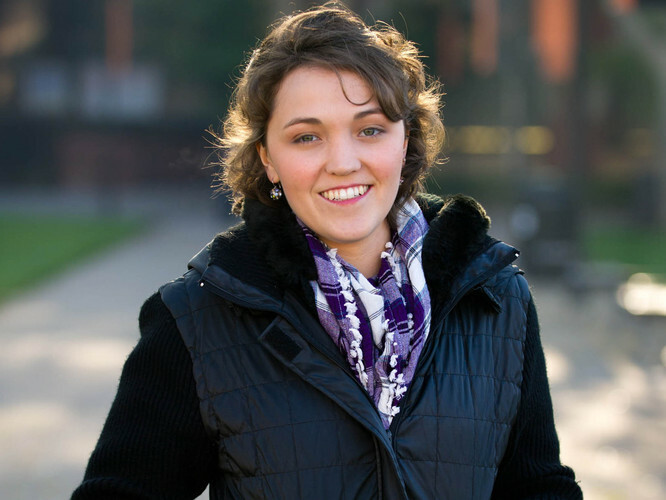 The bullet simply took a highly unusual path through her brain. In the passage, the writer is on a train and observes a young sleeping child of migrant Polish laborers, as I recall, and wonders if this child could ever grow up to be another Mozart, even if the youngster had the talent, genius and creativity – but won’t simply because the circumstances in which the child lives won’t allow for that kind of development and achievement. It makes me wonder about similar situations in the world where possibly great artistic – or scientific – minds are stifled by various circumstances. It could be a shooting — in a terrorist attack, a crime or an accident. It could be a famine. It could be a war. 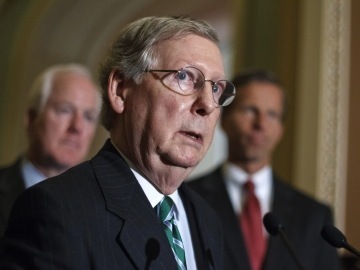 It could a lack of health care, especially now that the Republican leadership (below, with Senator Mitch McConnell in the foreground) has openly admitted that assuring universal coverage is no longer a priority, despite estimates of 50 million or more Americans who are uninsured or underinsured. Chance or luck always plays a role. But we don’t have to maximize the role of chance or bad luck by falling back on some kind of social indifference and lack of compassion that uses a love of s0-called freedom as an alibi — as if having health care isn’t a form of freedom. That is, simply the unkindest and dumbest form of social Darwinism, with only the rich and powerful thinking that they are the fittest and deserve to survive. Anyway, we can all hope that the composer and musician who survived Aurora goes onto achieve a complete recovery and then create great things and enrich all our lives. And that is what we should hope for, and work to obtain, for everyone. Classical music education: The Olympic Games in London should remind us of the athletic aspects of practicing, playing and performing music. Yesterday was the official opening of the Olympic Games in London, according to official website. For the next couple of weeks, we will constantly be reminded about the physical prowess of the participating athletes, with mention of injuries, recoveries and how they try to protect themselves. Such athletes are an investment, after all, so they need to be kept healthy. But musicians too are athletes – “small muscle athletes,” as the saying goes, versus the large muscle athletes competing at the games. And they too have careers to protect. So it seems a good time to consider the various injuries that musicians suffer and the methods, especially the Taubman method and Feldenkrais – that musicians can use to relax, to avoid injuries and to improve their playing, to remain physically and mentally healthy. 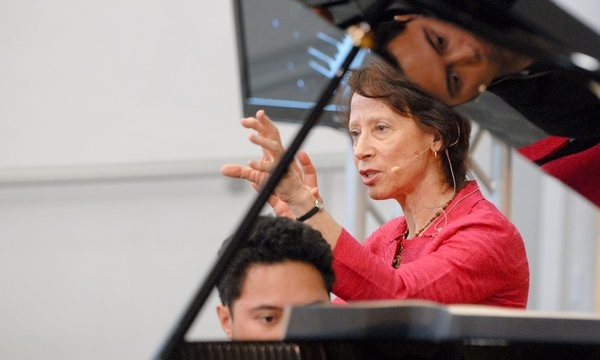 An excellent account was recently published when New York Times music critic Vivien Schweitzer attended an annual workshops on the piano and on strings featuring the Dorothy Taubman method of playing that are given every July by Edna Golandsky (below in a photo by Laura Pedrick for The New York Times) at Princeton University. Golandsky herself studied piano with more tradition training at the Juilliard School with famed teacher Rosina Lhevine and Adele Marcus. Perhaps you will agree with me that not enough details are given as advice. But then I expect that was part of the deal. People don’t pay big money to attend these seminars, master classes and workshops if they can get the same information simply by buying a newspaper or visiting a website. Can anyone else out there share some of the specifics of the Taubman and other important methodologies and techniques for fostering healthy music-making with this devoted amateur player? Happy practicing, playing and performing! Classical music: The 2012 Summer Olympic Games officially open in London today – and here is guide to all you need to know about music and the Olympics. 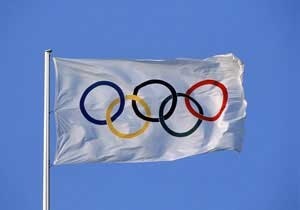 Today is the official opening of the 2012 Olympic Games in London. Sure, some of the events have already started. But the really big American and even global audiences will begin today and tonight with the broadcasting of the always spectacular opening ceremony and Parade of Nations. Beyond the ever-present and irresistible trumpet fanfare, music has always played a major role in the modern Olympics Games right from their beginning at the end of the 19th century in Greece through Atlanta, Barcelona, Beijing and now London. 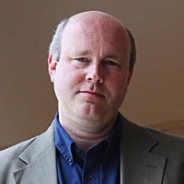 Composers such as Leo Arnaud, Miwaukee-born Michael Torke (below), Philip Glass, John Williams and Leonard Bernstein have all written occasional music for the Olympic Games. But the Olympics have also played a role in pushing non-classical and classical composers composers closer together, and in fostering “fusion” music that mixes genres, by incorporating composers as diverse as Ravi Shankar, Sir Edward Elgar and Freddie Mercury of the rock group Queen. So, NPR’s terrific “Deceptive Cadence” blog has done it again by offering readers a thorough and engaging history of music and the Olympics — complete with many audio clips. I hope you find this as enjoyable and informative as The Ear did. And if you have additional information or questions, be sure leave something in the COMMENT section. 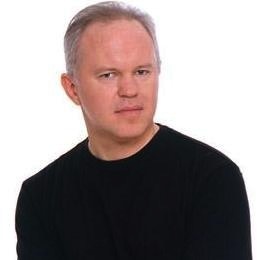 And finally here is my favorite piece of Olympics music: “Javelin” by Michael Torke. What Olympics music most moves you? 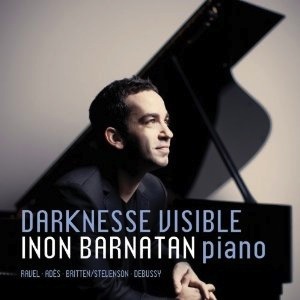 Classical music: What recordings would you add to NPR’s “Deceptive Cadence” blog list of its “Top Classical Recordings of 2012 So Far”? Many classical music writers — in newspapers, magazine and blogs — wait until the end-of-the-year gift-giving season to list their top picks of new recordings. And generally that works fine – which is why I also do that. But it can be hard to keep track of a full year’s worth of new recordings. Plus, that means a lot of catching up to do, a lot of listening in a short time if you want to hear them and judge them for yourself. So I really like that NPR (to me, it was and remains National Public Radio) and its outstanding “Delayed Cadence” blog lists the best picks for the first half of the year. It’s kind of like celebrating your half-birthday. They did it last year and they have done it again this year. You’ll notice that it is an eclectic list compiled by the ever-sharp Tom Huizenga (below), with a lot of different kinds of instruments, music and performers. 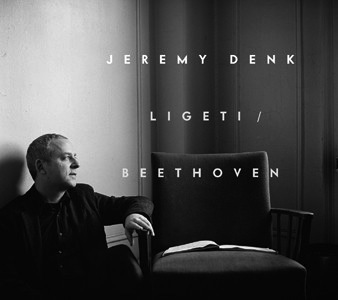 I am very pleased that it includes pianist Jeremy Denk’s debut solo album (below) for Nonesuch, which includes excerpts from Ligeti’s two books of etudes and Beethoven’s iconic last piano sonata Piano Sonata No. 32 in C minor. 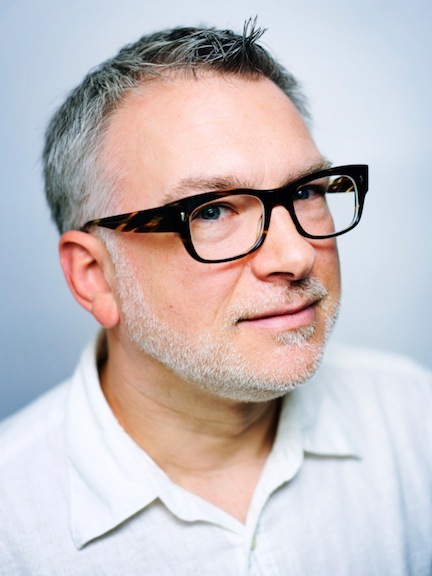 You may remember that the talented Denk – whose blog “Think Denk” is a favorite of mine and of acclaimed critic Alex Ross of The New Yorker. So it is small wonder that he writes his ow insightful liner notes for the CD. 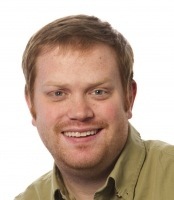 You may also remember that Denk spent a week in residence at NPR playing J.S. Bach’s “Goldberg” Variations, which he performed here in Madison two seasons ago and also in Carnegie Hall to great acclaim. NPR also has included Denk (below) is its series of musicians that allowed NPR to peek in on their practicing. 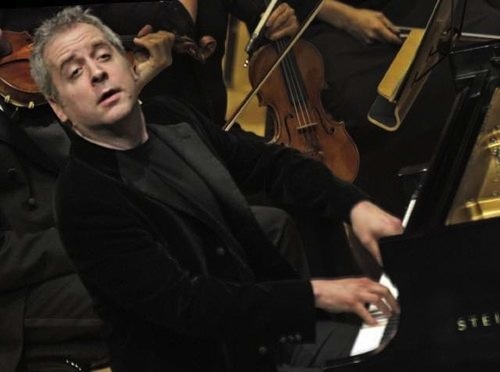 Finally you might recall that Denk is booked on the upcoming season of the Wisconsin Union Theater to perform next spring, and in an interview with The Ear said he might perform Brahms (“Paganini” Variations) and Liszt. Anyway, I like the NPR list. But to mind, it is hardly exhaustive. 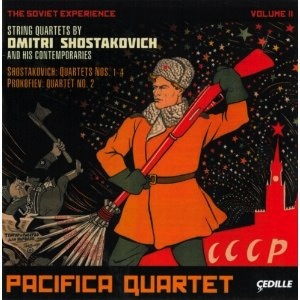 I would also add the Pacifica Quartet’s second volume of “Music of the Soviet Union” (for the Chicago-based label Cedille), which couples a Shostakovich cycle with other Soviet-era composers such a Miaskovsky and Prokofiev. 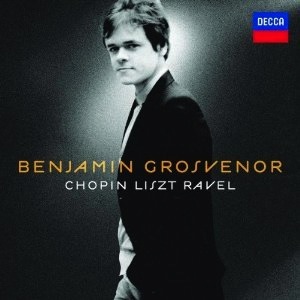 Readers know s me a piano fan So I think I might also add new piano albums by Benjamin Grosvenor, the British pianist who is the youngest pianist ever signed by the major label Decca and who performs Chopin Liszt and Ravel for his debut; and by Inon Barnatan, the acclaimed young Israeli pianist whose playing shines rhythmically and propulsively in his debut album for Avie called “Darkness Visible,” with music by Debussy, Ravel, Ades and Britten. What new recordings would you add to the “Best Recordings of 2012 So Far” list? Leave your nomination in the COMMENT section. I will thank you and so will other readers. 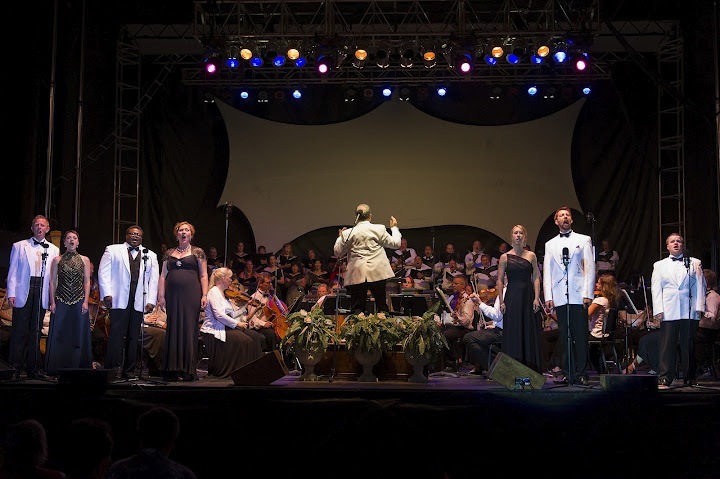 Classical music ALERT: Tonight’s Concert on the Square of Cuban music has been POSTPONED until tomorrow, Thursday, at 7 p.m. The concert will be held Thursday, July 26th at 7 p.m.
Tonight’s Concerts on the Square featuring Cuban music group Tiempo Libre has been postponed due to the possibility of severe weather. The concert will be held on Thursday evening at 7 p.m. Please check the WCO website (wcoconcerts.org) at 3 p.m. the day of the concert for the weather call. 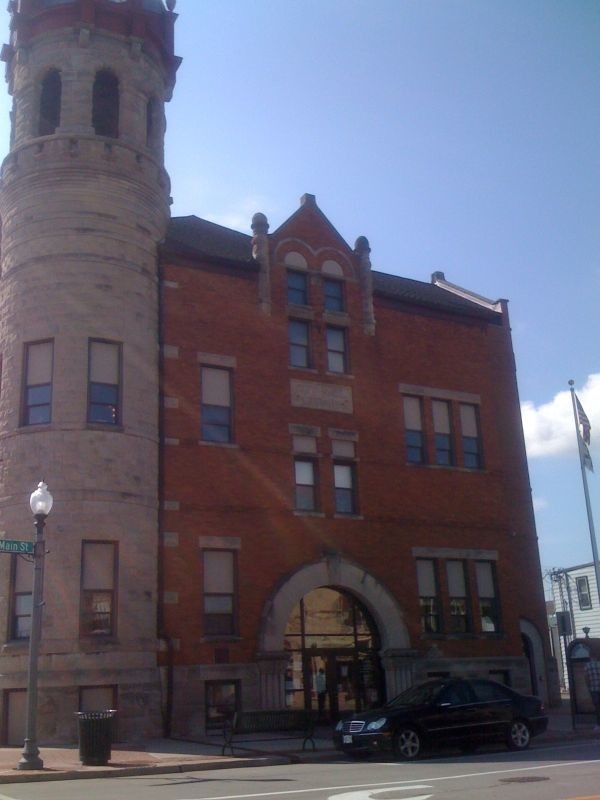 Concerts are held on the King Street corner of the Capitol Square at 7:00 pm. Blankets may be placed on the lawn at 3:00 pm – only low-height chairs (6” or less) with tubular, U-shaped legs may be used on the lawn. All other chairs must be placed on the pavement between the sidewalk and the street. For older adults or individuals with special needs, limited seating is available on a first-come, first served basis along the South Pinckney St. and Main St. sidewalk areas. Thursday, July 26, 2012, 7:00 p.m. Hot off its third Grammy nomination and the release of its newest album, My Secret Radio, the Cuban music group Tiempo Libre and the Wisconsin Chamber Orchestra will celebrate Cuba’s musical heritage with a joyous dance-inducing symphonic concert on the steps of the Capitol. Tiempo Libre and the Wisconsin Chamber Orchestra will perform a medley of traditional cha-cha-chás, sones (including “El Manicero”, “Son de la Loma” and “Guantanamera”) arranged by Tiempo Libre’s Jorge Gomez in collaboration with Raul Murciano (a professor at University of Miami’s Frost School of Music and one of the founders/music director of Miami Sound Machine) as well as selections from Tiempo Libre’s Grammy nominated album Bach in Havana, which uniquely fuses Cuban music and Bach, and was featured on Dancing with the Stars. 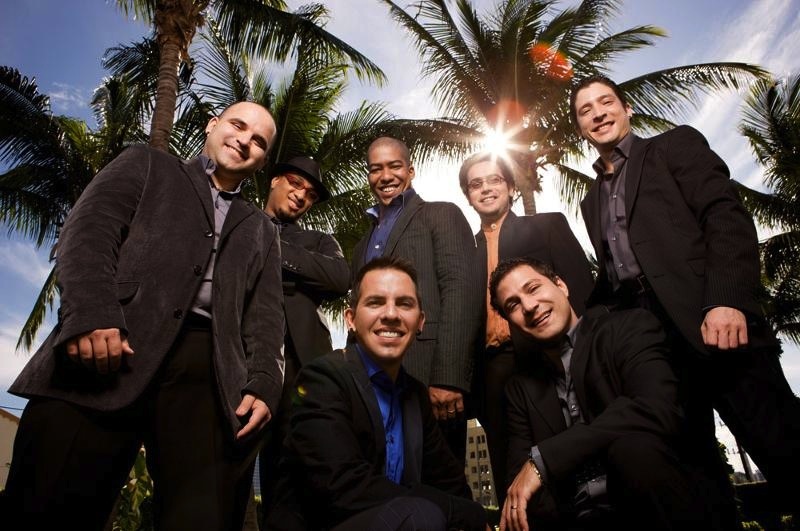 Tiempo Libre will also perform some high energy, dance-inducing Grammy-nominated timba music on its own featuring songs from My Secret Radio, as well as selections from their three previously Grammy-nominated timba albums Bach in Havana, Lo Que Esperabas and Arroz Con Mango. You many see and hear more at www.tiempolibremusic.com. 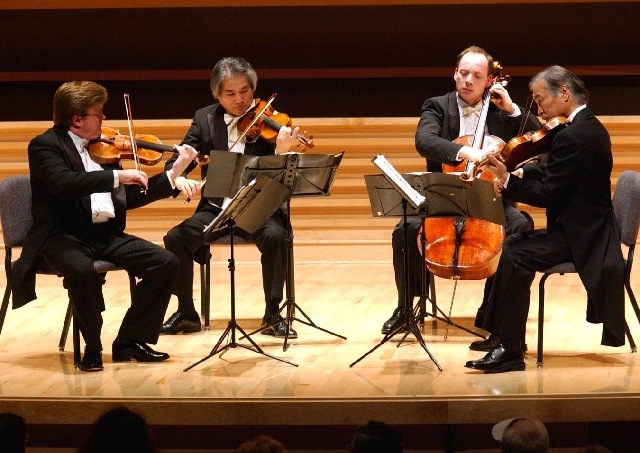 Classical music: Famed Tokyo String Quartet will disband after 44 years at the end of next season. This is one of those cases of: Better late than never. The Ear has a correction to make in the form of an update. 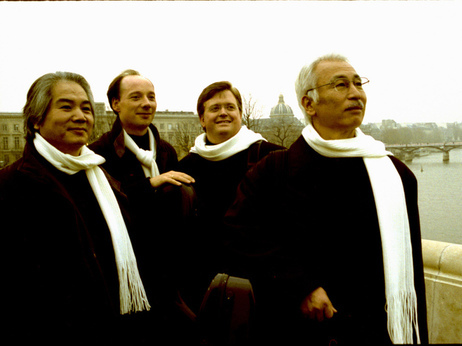 Quite a while ago, I reported that two members of the famed Tokyo String Quartet (below) would retire at the end of the 2013 season. 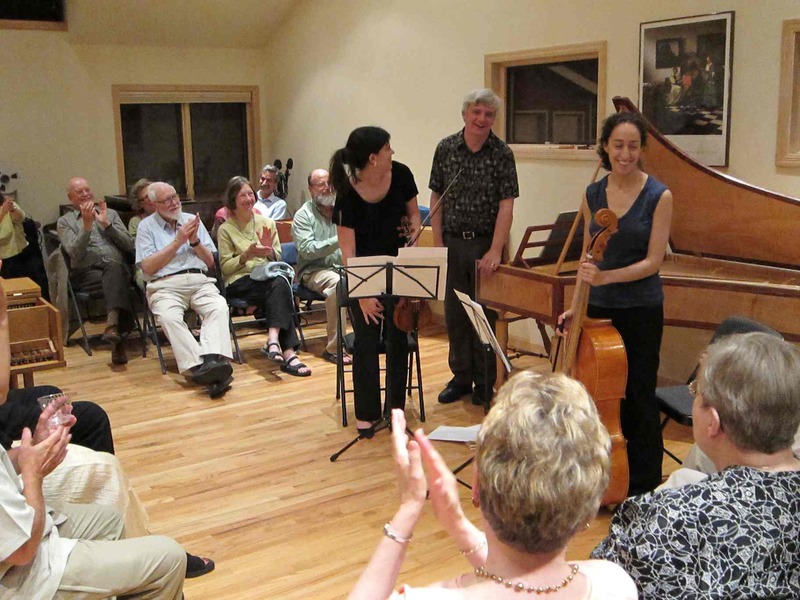 At the time, the quartet, which was founded in 1969 at the Juilliard School and has long since been identified as artists-in-residence at Yale University, said it was auditioning for replacement members. 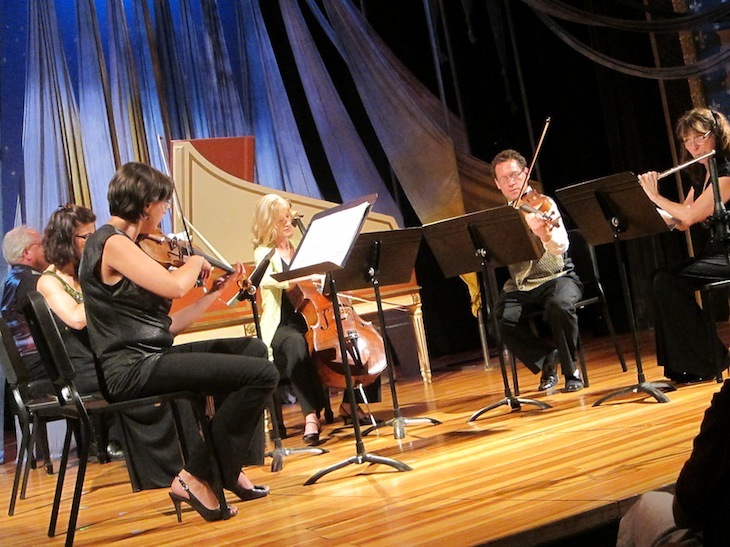 But in the meantime, the acclaimed and award-winning quartet — which plays on a matched set of Stradivarius instruments — has decided to retire and to disband entirely after the end of the 2012-2013 season. 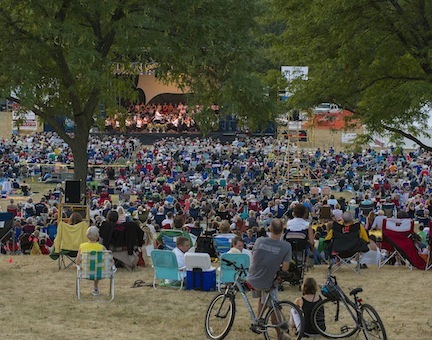 Classical music: Madison Opera’s “Opera in the Park” again hits all the right notes – outdoors. 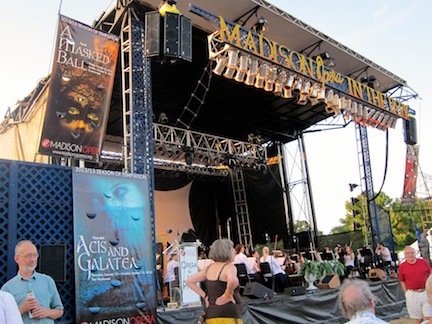 Madison Opera started “Opera in the Park” 11 years ago to advertise, and build audiences for, its regular winter season. But along the way, something happened. They weren’t disappointed. Far from it. Over two hours, they consistently cheered and at the end gave a standing ovation – and even seemed disappointed when an encore wasn’t forthcoming. The public isn’t always right. But this time it was. I started to put check marks next to items on my program when I felt the selections were outstanding. Before long I realized that there were just too many checks to single each one out for comment. So let me hit some highlights. 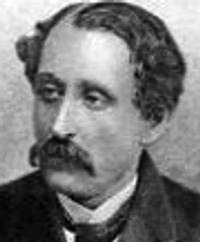 Who isn’t grateful to hear the Madison Opera Chorus and Madison Symphony Orchestra players in the rarely performed and Puccini-like Prelude and “Hymn to the Sun” from Mascagni’s “Iris” — think “Turandot” or “Madame Butterfly” — or Verdi’s boisterous and infectious “Anvil Chorus” from “Il Trovatore”? Who could fail to be charmed by mezzo Emily Pons and bass Matt Boehler and the perfect physicality of their suitably seductive duet of “La Ci darem La Mano” between Zerlina and Don Juan from Mozart’s “Don Giovanni”? 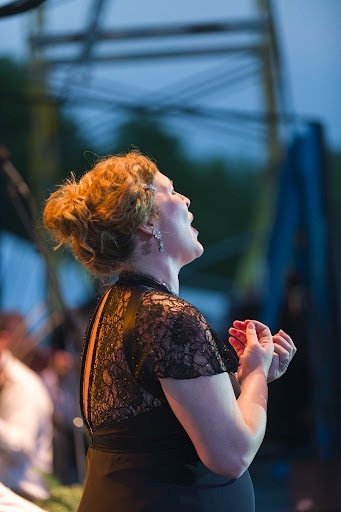 Who could resist soprano Caitlyn Lynch (below, in a photo by James Gill) in those fabulously ethereal high notes that float high above the mundane world in her dream aria “Chi Il Bel Sogno di Dretta” from Puccini’s “Rondine”? Who would not be impressed by tenor Russell Thomas (below, in a photo by James Gill) in “La Donna e mobile” from Verdi’s “Rigoletto”? 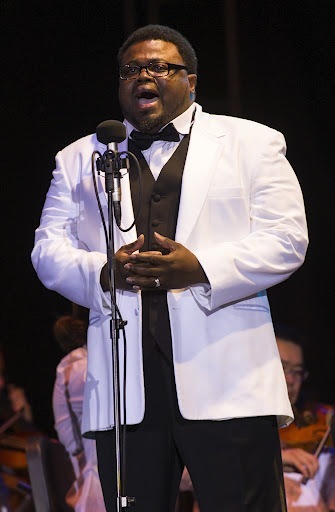 He is the Ethel Merman of tenors, possessing a big – make that huge – and beautiful voice. True, he lacks some subtlety and his stage manner is a bit stiff, as was Luciano Pavarotti ‘s. But the crowd loved him and sensed they were hearing The Real Deal when it comes to grand talent for grand opera. This man is going places far beyond the loud echoes he created in the vastness of the park. 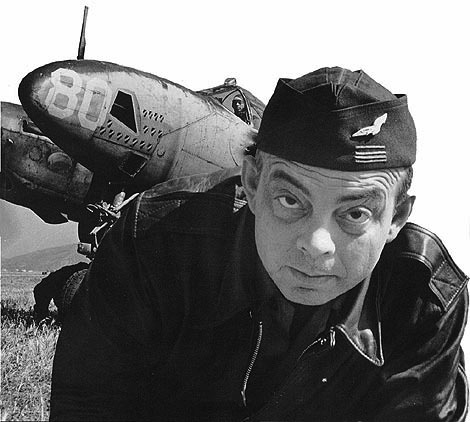 The Hollywood sampling of four selections was based on love – the word and the concept – and to The Ear it did not intrude too much on the more serious opera works. It fact, the songs — especially “Be My Love” and “Can’t Help Lovin’ That Man” helped set the mood in the cool and clear night. Who doesn’t like a little romance with their beauty? If operatic music is the garden, the Madison Opera certainly cultivated it with great results on Saturday night. Of course, much of this should come as no surprise. Some audiences love the “Best Of” format. True, real opera fans crave the drama and plots, the costumes and sets. But many of us go for the music — and that is what we got. This year’s crop of top-notch artists — there wasn’t a weak or unpleasant voice among them — showed no lack of pedigree. 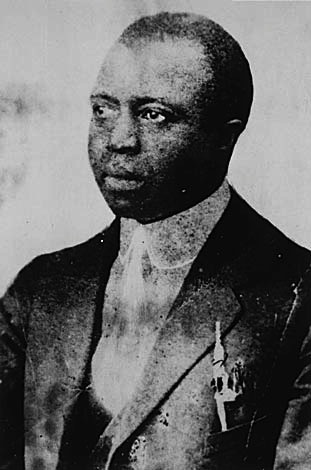 When introductions were made for the various singers, names like The Met, Covent Garden, the Santa Fe Opera, the Lyric Opera of Chicago, the San Francisco Opera and the New York Philharmonic got tossed about. How lucky Madison is to get to hear so many of these voices before the world at large does. Choose right and choose early, it seems, and you can afford the best talent before it becomes famous and unaffordable. So the standing ovation (below) was well deserved. 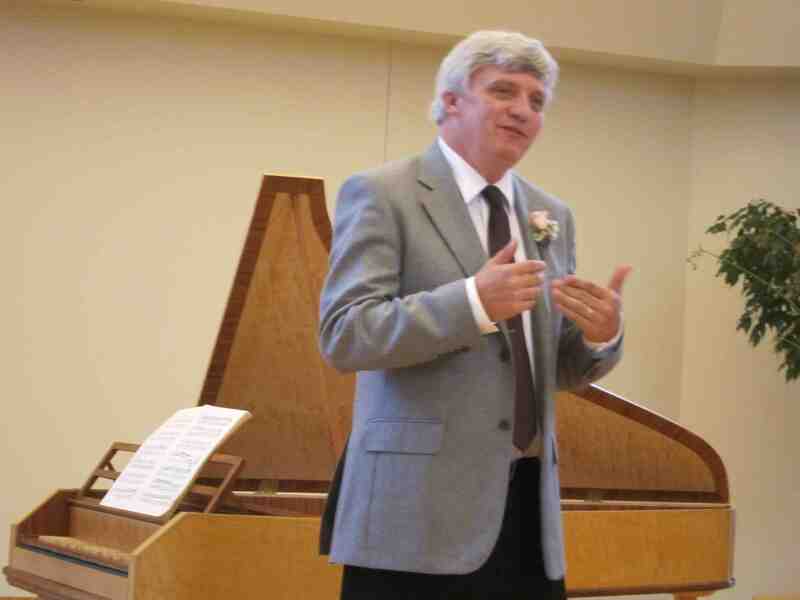 Guest conductor especially deserves to be singled out for high praise. 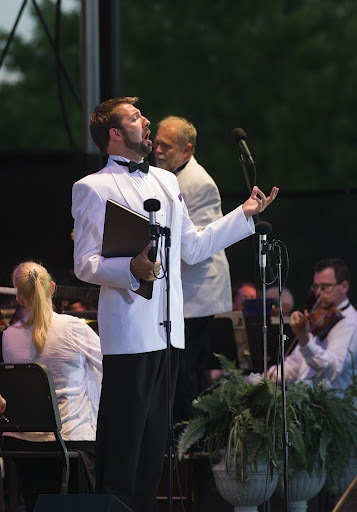 Gary Thor Wedow (below, in a photo by James Gill), who substituted for the Madison Opera’s artistic director and usual conductor John DeMain, has long experience at various opera companies and now teaches conducting at the prestigious Juilliard School of Music in New York City. And you could tell he loves what he does: As he conducted without a baton and with complete mastery, you could see him mouthing the words to just about everyone’s part. This is an expert. Were there flaws or imperfections, dissatisfactions or mistakes? Sure. It would have been welcome to hear at least a sample from next season’s Handel opera instead of a different one. Probably the biggest problem was the sound system, especially depending on where you were sitting. Overall, it still seems to need some refining for clarity and balance. But sound problems seem endemic to stadium-like concerts. 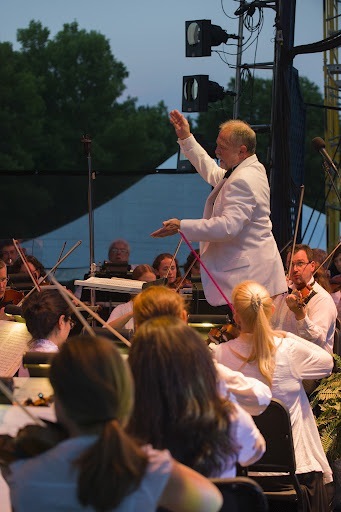 Those same problems also plagued the Wisconsin Chamber Orchestra’s Concerts on the Square for a decade or more. You begin to think that amplification in big outdoors spaces simply can’t ever be perfect because every ear wants something different out of it. Nonetheless, the talent came through and the beauty survived, especially on what turned out to be such a perfect evening, who could ask for anything more? Well, opera is an art and so there are many points of view about it. 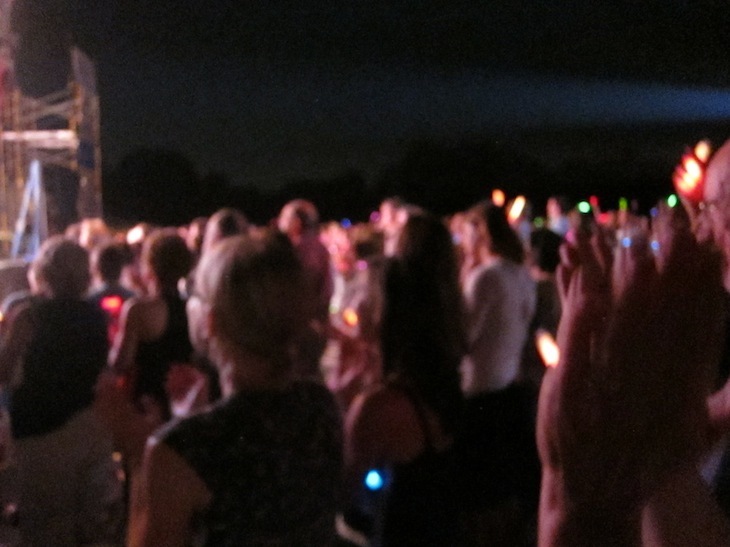 So here are so other critics’ takes on this year’s Opera in the Park. 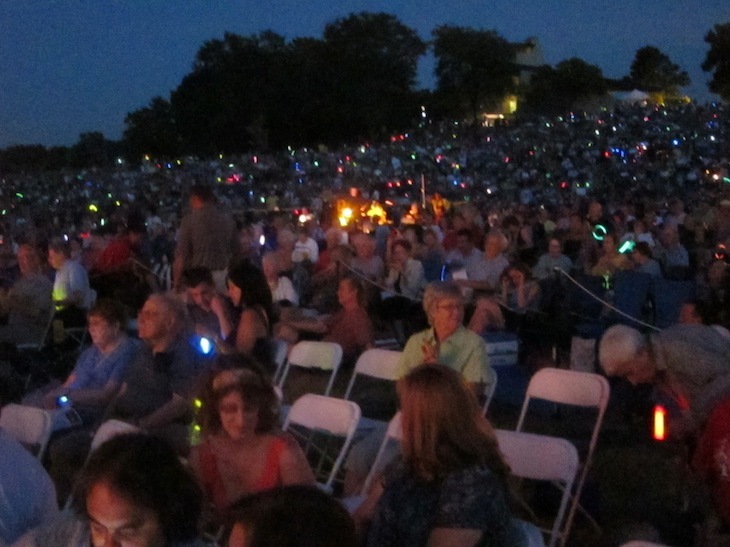 What did you think of Opera in the Park 2012? What did you enjoy and what did you find to be the highlights? Be a critic. Leave a comment. And I will leave you with an oh-so-difficult but oh-so-beautiful song we heard live at Opera in the Park 2012. 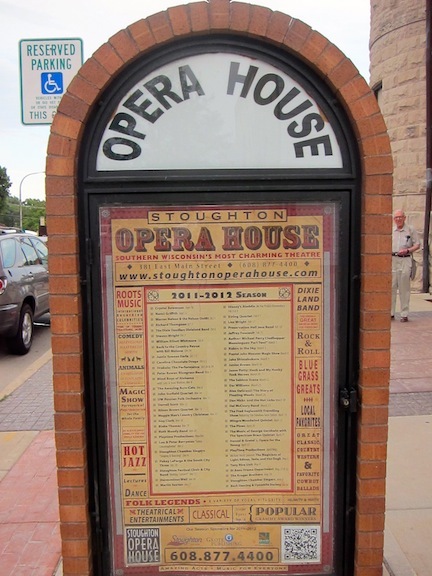 Classical music: Bach Dancing and Dynamite Society’s concert of Couperin, Schubert and Haydn at the Stoughton Opera House to air Monday night and Sunday night on Wisconsin Public Television. 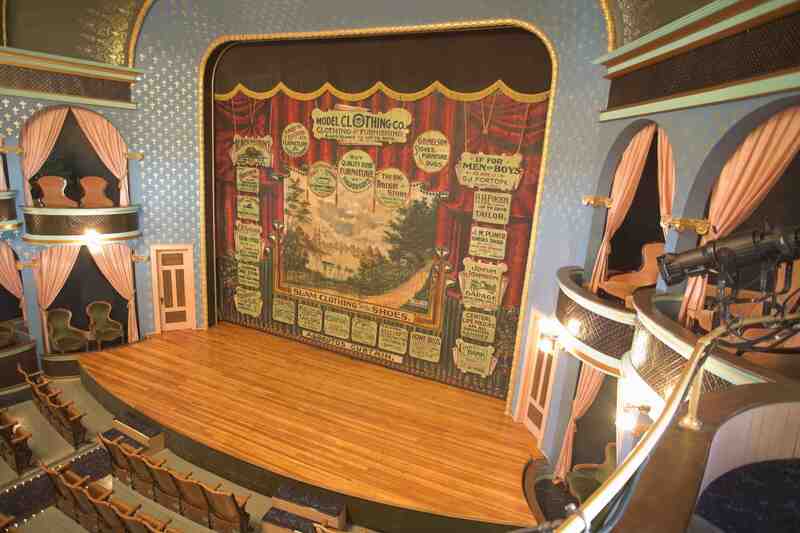 Here are the two dates — both are this week, starting tonight — that Wisconsin Public Television will broadcast a one-hour edited version of the terrific “Kir Royale” concert last month that the Madison-based Bach Dancing and Dynamite Society performed at the restored historic Stoughton Opera House (below). TONIGHT, MONDAY, JULY 23, at 9 p.m. THIS COMING SUNDAY, JULY 29, at 9:30 p.m. I am not sure which pieces will be shown in whole or in part, though it seems as if Syke’s playing of the Haydn sonata (below) is included. Bravo, The Ear says while giving a Shout-Out not only to BDDS for 21 years of great music-making, but also to Wisconsin Public Television for bringing this kind of local arts coverage — and not just national shows such as “Great Performances” or “Live From Lincoln Center” — to the state’s tax-paying public.